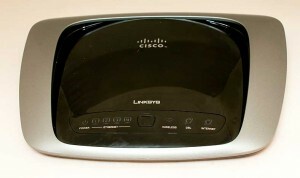 The Cisco Linksys WAG160N is an easy to use ADSL2 modem/router that allows a user to easily connect their home to the internet. 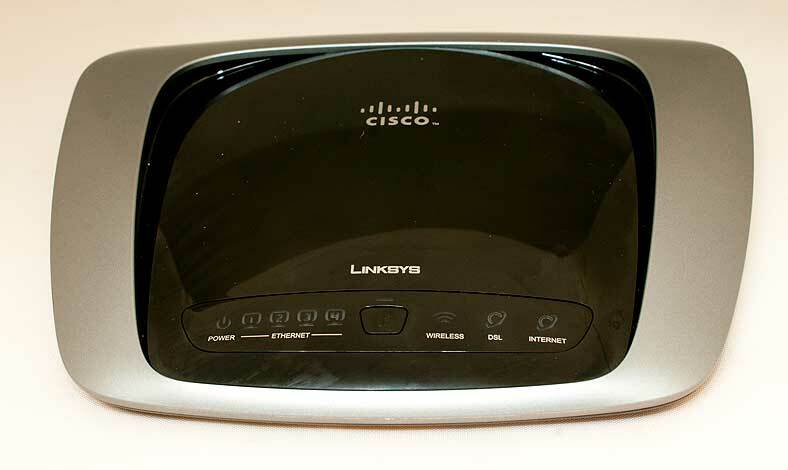 It offers single band wireless connectivity for your WiFi devices (laptop, mobile phone, gaming devices) as well as four 10/100 Ethernet ports to allow you to connect wired devices to your home network as well. It’s an attractive and compact device that can be placed pretty well anywhere that may be convenient. With their latest round of consumer grade devices, Cisco have spent a lot of time and effort on a couple of key areas, those being the industrial design, and the user experience. Regarding the industrial design, the little rectangular box with little feet is gone. Their modems and routers all share a curved look that will sit easily pretty well anywhere that you choose. Their reasoning is that as our on-line lives expand, with a greater number of internet connected devices being owned by more and more people, the router is playing a more important part in our lives. While it doesn’t need to be prominently displayed, there’s also no need to hide it away in a closet either. With respect to the user experience, they are truly making an effort to make the installation and setup of their devices as painless as possible. While a manual setup is always possible (for people like myself, who insist that we get our hands dirty with this sort of stuff) the included CD makes the initial setup a breeze, even for your mother. Just pop the CD in to your computer’s drive, and follow the instructions. Make sure that you choose a strong key for your wireless setup, so that your neighbours aren’t able to take advantage of your ADSL bandwidth. You will also need your ISP configuration details, those being your login ID and password, so do make sure that you have them handy. Once you’ve completed the setup, you’re away, and after a minute or so, you are connected to the internet and browsing your favourite sites, checking your emails, uploading images, and generally just having fun. That’s really it. This is a great little modem/router that will suit the needs of many smaller households, providing a good level of security and connectivity with ease of installation and setup.